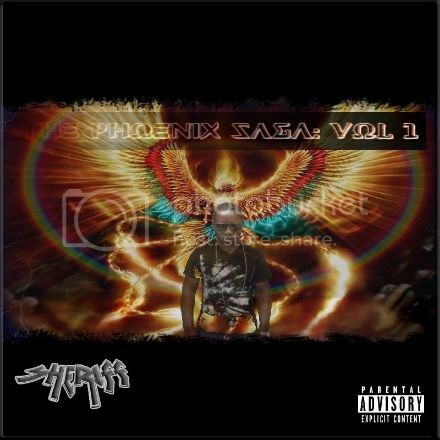 "We've got the first official track, "SaucyMac Naucy" from the upcoming album, The Phoenix Saga: Vol. 1 by new recording artist, SHERIFF! Rapper and Oakland California native, Sharif "SHERIFF" Mustafa is currently in the studio finishing up his much anticipated album, "The Phoenix Saga: Vol. 1" and has just released his first official single, "SaucyMac Naucy" to the public. The album is set to release this November 29th, Black Friday, and will consist of 13 tracks featuring artists from all over the Bay Area, as well as a few surprise guests from different parts of the globe. When asked what we can expect from the album, SHERIFF responded, "SHERIFF's evolution of coolness, increased honesty and personal reflection, uptempo party life and down tempo work life, meets real life." Essentially, the things that make us who we are and cause us to think the way that we do, good and bad. The album will be available on iTunes on November 29, 2013, so be sure to pick it up! Click here to get 'SaucyMac Naucy' playing at 106 KMEL or call in and place your vote! You can vote as many times as you want! Also, don't forget to Friend, Follow and Subscribe! Links are below!